Q. What is the mission of the Fair Housing Council of Orange County? A. 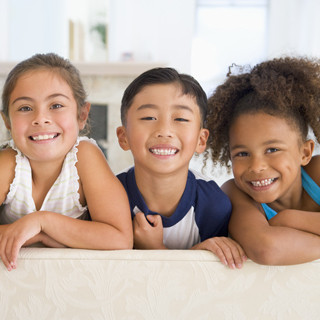 The primary mission of the Fair Housing Council of Orange County is to protect the quality of life in Orange County by ensuring equal access to housing opportunities, fostering diversity and preserving dignity and human rights. Q. What is the history of the Fair Housing Council of Orange County? A. Founded in 1965, the Fair Housing Council of Orange County is a private non-profit corporation governed by a volunteer board of directors. The Fair Housing Council is an operating member of the National Fair Housing Alliance. Q. What is the Fair Housing Act? – “Blockbusting” for profit or persuading owners to sell or rent housing by telling them that people of a particular race, religion, etc. are moving into the area or neighborhood. – Denying use of or participation in real estate services, e.g., brokers’ organizations, multiple listing services, etc. Q. What additional protections are provided by California law? Q. What is arbitrary discrimination? A. It is discrimination based on class distinctions which cannot be justified and are not rationally based on a business necessity. Q. What types of services does the Fair Housing Council of Orange County offer? A. Through comprehensive community education, individual counseling, mediation, and low-cost advocacy, the Fair Housing Council works to eliminate housing discrimination in Orange County and guarantee the rights of all people to freely chose housing in the area they desire to live. Services provided by the Fair Housing Council include fair housing enforcement and education, landlord/tenant counseling, mediation and homebuyer HUD counseling which includes first-time homebuyer education and mortgage default counseling. Q. How many landlord/tenant disputes are resolved by the Fair Housing Council of Orange County each year? And what’s the impact of resolving those disputes without going to court? A. Presently, the Fair Housing Council resolves nearly 80% of the disputes that come before the agency, saving Orange County taxpayers millions in court time every year, along with helping thousands of individuals keep or gain access to a home. The Fair Housing Council’s evidence of fair housing violations has been successfully used by the US Department of Justice, HUD, California Department of Fair Employment and Housing and private attorneys in federal and state administrative and court proceedings. In addition, under leadership of the current management, the Fair Housing Council has prevailed in all fair housing cases in which the organization was a named party. Q. How do fair housing laws protect people? A. The laws provide protection against discriminatory housing practices if they are based on a disability. A disability is defined as any physical or mental impairment which limits one or more major life activities. Individuals who have a record of an impairment or have been regarded as having such an impairment are also covered. Impairments include mental illness, AIDS, blindness, hearing impairment, intellectual or developmental disabilities, mobility impairment, etc. Q. Have civil rights complaints risen or declined over the past few years? A. Civil Rights complaints of all varieties more than doubled from 1990 to 1998, from 18,793 to 42,354. They accounted for 8.6 percent of the 217,879 federal civil cases in 1990, compared with 16.5 percent of all 256, 787 civil cases in 1998. Q. Where is the Fair Housing Council of Orange County located and what are its hours of operations? A. The Fair Housing Council of Orange County is located at 1516 Brookhollow Drive, Suite A, Santa Ana, CA 92705, phone: 714/569-0823 or 800/698-FAIR, fax: 714/835-0281, email: info@fairhousingoc.org and web site: www.fairhousingoc.org. The agency’s hours of operation are 9 a.m. to 6 p.m., Monday through Friday and closed every other Friday. We are closed for lunch from 1 p.m. to 2 p.m.
Q. Does the Fair Housing Council of Orange County offer services in languages other than English? A. Yes, services are available in English, Spanish and Vietnamese.